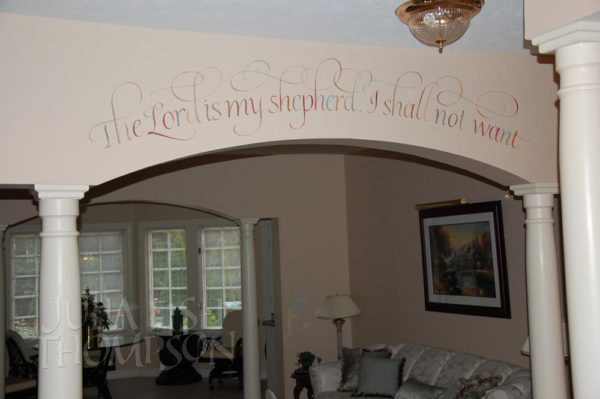 A gracious retired couple moved to a new home and wanted to really make it their own. 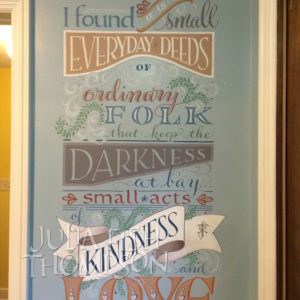 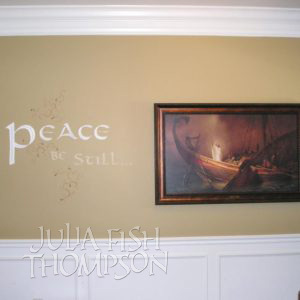 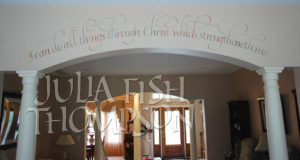 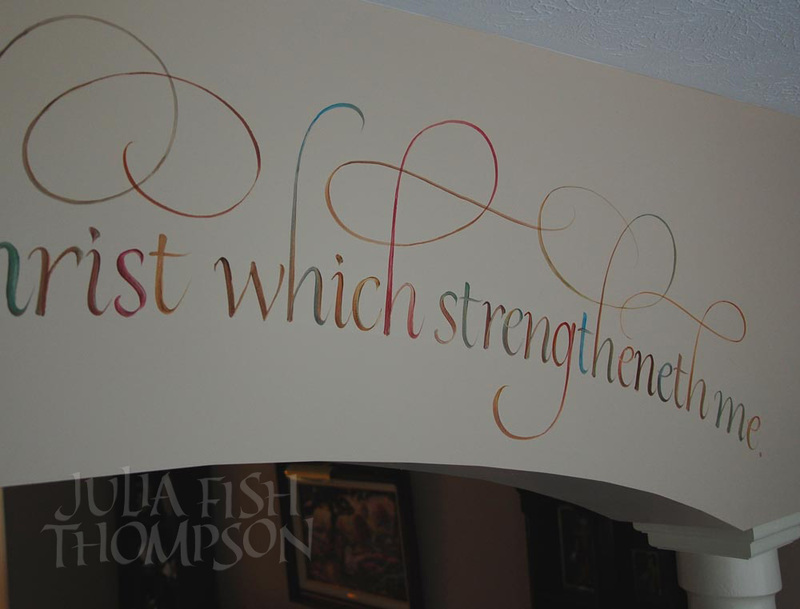 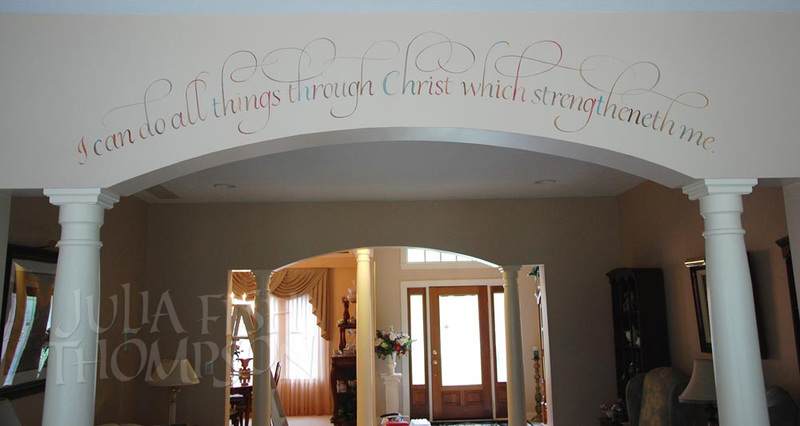 Each chose their favorite short Bible verse for the arches leading into their living room. 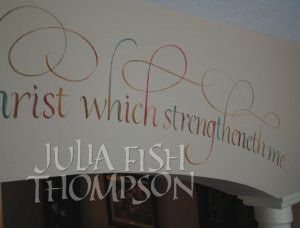 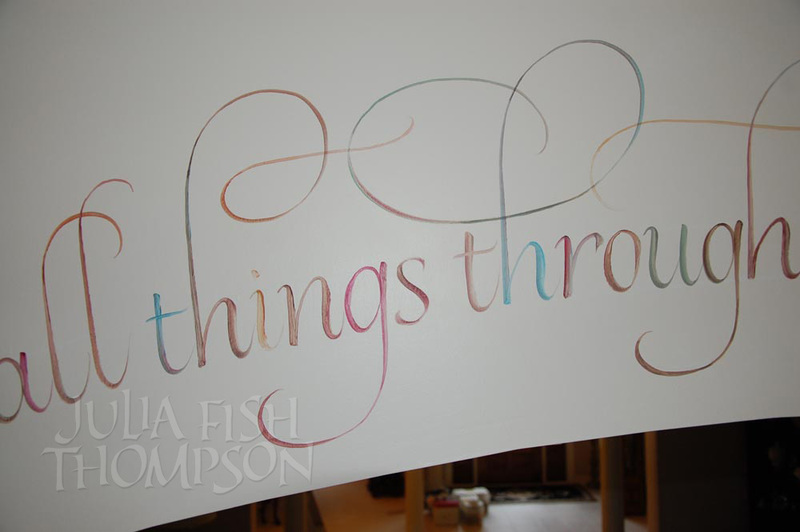 They wanted the lettering colorful because the house is so light and neutral.